Grower, wholesaler and retailer of Christmas Trees & wreaths. 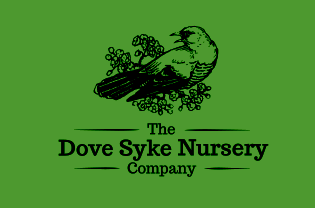 Dove Syke is a registered smallholding with a family run Christmas Tree Farm, with a year already under their belt, Monika and Micheal are ready for Christmas 2018. Christmas is an unrepeatable occasion in the year. Since many of us constantly work throughout the year, Christmas is a sorely missed family experience and yet already from October, we are already bombarded with signs that "Christmas" is coming, seemingly from everywhere. Toys, Shoes, Phones, Promotions. In Dove Syke Nursery, we don't want this sort of "Christmas", for us; friends and family are what is important, that is our "Christmas". Every year, what should be our first priority falls to the wayside in favour of a huge discount. That is why we allow you to prepare in advance. From the 29th of September, you are offered the chance to personally come for a "Woodland Walk" within our grounds and pick out and reserve a Christmas tree just for you and your family. You can even come to check up on your tree, eat a snack or even just to have a chat. We are here for you and are already preparing several surprises to come in 2018. We have 43 hives filled with happy bees producing honey. We host a forest school which allows children to enjoy nature and have a great time outside! Delicious and healthy vinegars for you to enjoy. Our Woodland walk through the trees at Christmas leads to a most important post box… one that Father Christmas collects from himself!! The Christmas trees are cared for throughout the year, hand pruned to maintain that traditional “Christmas Tree” shape, and are of course competitively priced. A fantastic new way to get your children working together to create art for Christmas, as well as winning something for their school!